I had the opportunity to go out to California to take a boot camp class with Kim Lyons. Many of you may not know her, but if you were a fan of the Biggest Loser in the first few seasons, she was one of the trainers. She was the trainer for the “Red Team.” She is a personal trainer and also a former body builder. 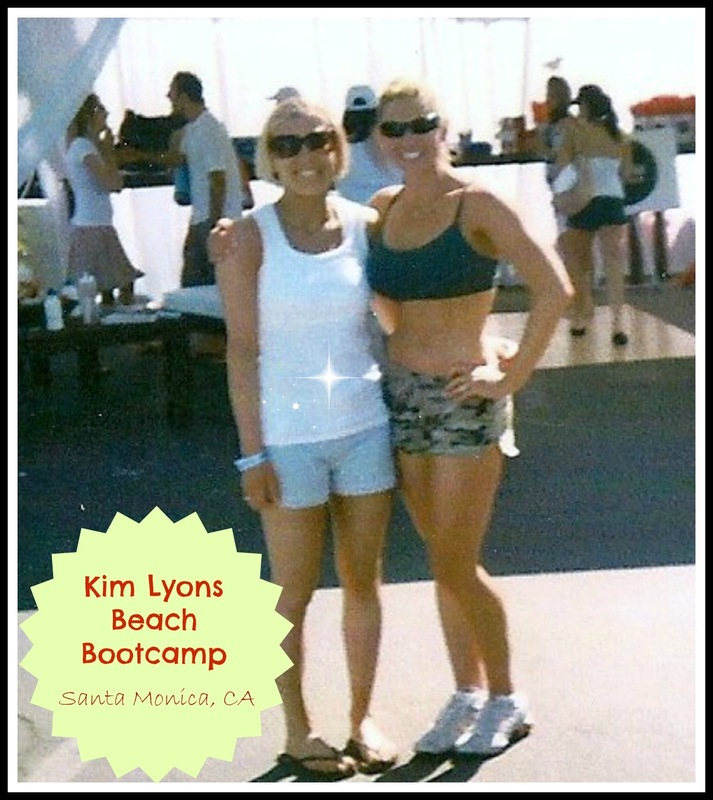 She was doing a boot camp class opened to the public in Santa Monica Beach. I found this out by reading an insert about it in OK magazine. You know you read about events that are going on in magazines but never actually get to attend. Well this was something I was going to do. During this time she was promoting her first book “Your Body, Your Life.” The advertisement even said the first hundred participants that arrived received a copy of her book that she would sign. My friend and I arrived at the beach early to make sure we had a chance of getting the book. While we were waiting, my friend noticed Kim, and made sure that I went over to say Hi. Being so star struck, I couldn’t believe she was standing right across from me. I remember saying we were so excited to be there to see her. She was so down to earth and friendly and said "I hope we get a good turn out today." I’m thinking to myself…hello you’re Kim Lyons why wouldn’t you!? Other celebrities that were there included Harley Pasternak, and Brooke Burke. It’s amazing how good of a workout you can really get by just using your body weight. We did a lot of squats and lunges. We even had to run to the ocean and back to our spot on the beach, which ended up being further than what it looked. Kim Lyon’s husband(Gunter Schlierkamp) was even on the stage with her trying to follow her boot camp moves. He is (was) a professional body builder and I remember her saying "Honey, I didn’t know you were so uncoordinated". She looked so small compared to her husband on stage. 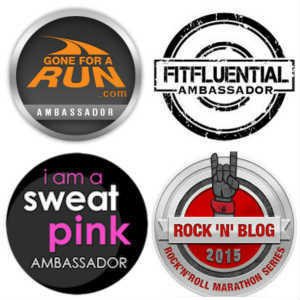 In addition to the boot camp, there were nutritional and fitness seminars taking place that had great giveaways. I remember I received a yoga mat and water bottle, along with some healthy snacks. 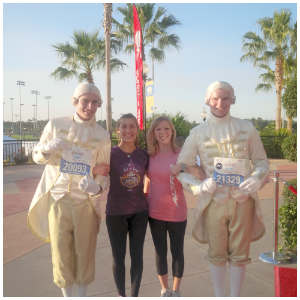 This was definitely an experience I will never forget. 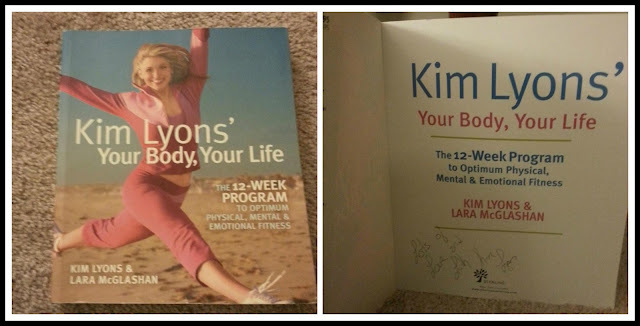 I had a great work out on beautiful Santa Monica Beach meeting Kim Lyons and was lucky enough to receive her book that she signed for me. Not only did I get to meet Kim, the following week I saw my picture in the OK magazine. Do you think you can pick me out? I have Kim's book several times. It’s for all fitness levels, whether you are just starting out on a new healthy lifestyle, or just need some motivation you will find many useful information in the book, including workout plans and healthy recipes. Have you ever done a work out on the beach? This sounds like such a great experience, thanks for sharing!! Yes, Sunrise Yoga next to the ocean would be amazing! That is so cool! What an amazing experience.